Lookalikes & Celebrity Impersonators For Hire | Book a Lookalike Now! A party with pulling power is guaranteed when you pick a well known star to take centre stage. They are huge fun - and whether you want them to attend for an opening set, at a midway point, mingle with guests at a wedding or to help complete the evening, a celebrity lookalike adds a real sparkle to any gathering. For a Hen Night there's Jason Statham impersonators, for thrills and spills a Manuel waiter or Inspector Clouseau for giggles with the your Granny! Each act has gone to great lengths to ensure that they provide a believable, convincing performance, replicating a particular well known personality or star. The act, together with their astonishing physical likeness means that you really can book Jack Sparrow for your child's Birthday Party. It's mimicry and more than makes for a great Lookalike Act. They are fabulous fun, glamorous and exciting - and a great way to put some fizz into your festivities and events! Find out more about booking a celebrity impersonator / lookalike for a wedding or your next event. Find a Lookalike for hire near you in minutes! Option 1. Enter your event location below & contact a Lookalike directly! Option 2. Request multiple quotes from available Lookalikes Get Quotes! Option 3. Read information & advice on hiring Lookalikes Read Advice! Finding the right Lookalike Act is easy with our unique and comprehensive guide. Bursting with essential tips and answers to all those important questions, we help you book with confidence, so that you and your guests can relax and enjoy a truly fantastic and memorable event! - WHAT WILL A LOOKALIKE DO AT YOUR EVENT? - WHAT TYPE OF EVENTS ARE LOOKALIKES HIRED FOR? - HOW MUCH DOES A LOOKALIKE COST TO HIRE? - HOW LONG WILL THEY PERFORM FOR? - HOW CAN I FIND AND BOOK A LOOKALIKE FOR AN EVENT NEAR ME? WHAT WILL A LOOKALIKE or Celebrity Impersonator DO AT YOUR EVENT? Lookalikes are performers who bear a striking resemblance to a particular celebrity. While some simply look like the splitting image of their chosen character, many will also speak, act and move just like the real thing, providing exciting and highly interactive entertainment for guests. In order to take on the persona of a famous singer, actor, sports personality or movie star, lookalike performers need to know their chosen celebrity inside and out. This takes a huge amount of preparation and skill. By spending hours and even years studying their character and learning how to replicate costumes, tone of voice, mannerisms and style of speaking, they can really bring that celebrity to life. Good lookalikes will know exactly how Sean Connery would greet guests at a gala dinner, what Ricky Gervais would say to delegates at a trade show, or how Patsy would flirt with the best man at a wedding! Lookalikes will mingle with your guests and pose for photographs, providing huge laughs, plenty of banter and the thrill of having a ‘celebrity’ in their midst. They can act as a host at your event if required, making speeches and announcements, presenting awards or simply cracking jokes, telling stories and keeping everyone entertained. Some may also sing, depending on the act, although if you’re looking for impersonators of music stars, who can provide a full singing and / or dancing show, you can take a look at our Tribute Acts and Tribute Bands. WHAT TYPE OF EVENTS ARE LOOKALIKES HIRED FOR? Lookalikes are perfect for mix and mingle entertainment, presenting award ceremonies, entertaining visitors at trade shows and exhibitions, photoshoots, surprise guest appearances at charity balls and dinners and star guest speeches at weddings. They can also create a real buzz at corporate parties and product launches and are a great way to surprise a loved one on their birthday, with a special appearance from their favourite ‘celebrity’! When choosing a lookalikeor Celebrity Impersonator, consider the type and theme of the event you’re holding and the age range of guests. Ideally, the majority of guests will be familiar with the chosen ‘celebrity’. For example, if you’re hosting a children’s party, you probably don’t want Patsy crashing through the doors with lipstick smeared all over face, clutching a bottle of champagne having been out clubbing all night, whereas as a Jack Sparrow impersonator will go down a storm. Equally, guests over sixty will get a kick out of a Frank Sinatra, Marilyn Monroe or James Bond lookalike, whereas they might not have a clue who Jason Statham is! If you’re after a cheeky chappy with a penchant for French phrases, look no further than cockney market trader and national treasure Del Boy (David Jason), from the classic sitcom Only Fools and Horses. A Del Boy lookalike is the perfect ice-breaker for any event and will have guests in stitches from the minute they walk into the party. Not only will you get the hapless wideboy antics of this much-loved character, you’ll get the looks, the voice, the mannerisms and even the famous yellow, three-wheeled 1968 Reliant Regal van. Del Boy will attend your wedding, private function, corporate event or product launch where he will mix and mingle, interact with guests, tell jokes, meet and greet, and pose for photos. Just don’t let him sell you any of his dodgy gear. Get the crème de menthe of lookalikes and all the glorious Del Boy lingo with our hilarious Del Boy Lookalikes. If you want the entire Trotter clan in tow, this can be arranged. Lovely Jubbly! Gordon Ramsay is first and foremost an extremely talented chef and restaurateur, owning several Michelin-starred restaurants. He is also famous as a television personality on shows such as Hell’s Kitchen, where he plays up his fiery temper for the camera, throwing insults and expletives around the kitchen in his quest for culinary perfection and a well-oiled serving line. An experienced and charismatic Gordon Ramsay lookalike is a popular entertainment choice for grand openings, night clubs, food festivals, weddings, parties, award ceremonies, mix and mingle entertainment, photo booths, restaurant promotions and kitchen-themed events. An experienced Ramsay impersonator will not only look uncannily like the man himself, but will have his persona and mannerisms down to a T, bringing the great chef to life for all your guests. Hire a Gordon Ramsay impersonator as the perfect ice-breaker at your drinks reception, sit-down meal or buffet, where he can surprise guests, greeting them as they arrive and serving Champagne and Canapés, entertaining around the dining tables and posing for photos. Bring an eye-catching surprise to your promotional event. Perhaps you’re holding a press launch for your business or product, restaurant, coffee bar or new menu. A Gordon lookalike will make a striking addition and is guaranteed to go down a storm with the press, posing for promo pictures, serving drinks and bringing that elusive Ramsay magic to the day. He can even pose with props bearing your logo, or hand out free tasters. Just make sure you have a photographer on hand to capture it! Gordon is perfect for red carpet events, award ceremonies and celebrations. He can provide that celebrity buzz as guests arrive at the venue, make speeches and announcements, hand out prizes and even present a surprise birthday cake. A Gordon Ramsay lookalike can tailor their act style for all ages, making him suitable for corporate parties, holiday resorts, shopping centres and schools. To bring a special and surprising touch for all your guests, hire one of our gifted and charismatic Gordon Ramsay Lookalikes. Entertainment, done. For mix and mingle entertainment with elegance, flair and a licence to thrill, you can’t beat a James Bond Lookalike. James Bond impersonators will create a buzz at corporate events, cause a stir at casinos, add glamour to black-tie events and gala dinners, increase engagement at trade fairs and conventions and provide perfect photo opportunities for press and guests at red carpet events, product launches and store openings. Of course, this is the obvious choice if you’re hosting a Bond-themed party but a Bond lookalike is also perfect for a wide range of mix and mingle entertainment, including Bar Mitzvahs, birthday parties, weddings, retirement parties and cocktail receptions. Guests will be dazzled by the charm, wit and dashing good looks of this not-so-secret agent, and the martinis will be flowing (shaken, not stirred). If you’re looking for a class act to be MC at a charity function or auction, introducing speakers, making sure things run to schedule and keeping the audience engaged, hiring a James Bond lookalike can be just the thing. He can present awards and prizes and make announcements with all the suave sophistication and humour of Bond himself. You can also hire lookalikes of Bond villains, Bond girls, Bond dancers and singers for a complete Bond show! If you would also like to hire a Martini bar, take a look at our Mobile Bar Services. For a Bond with a grittier and more contemporary edge, you can opt for one or our Daniel Craig Lookalikes. So why not book the world’s favourite spy for his next mission? Take a look at our true-to-life James Bond Lookalikes and wow guests at your next event. Guests of a certain age will have fond memories of Fawlty Towers. The British sitcom was first broadcast in 1975 and starred John Cleese as the famously tightly-wound, snobbish and overly-aggressive hotel owner Basil Fawlty. Basil is beset by a constant barrage of disasters, from drunken chefs and incompetent builders to kitchen fires and pet rats on the loose. His attempts to solve these problems (and keep his wife from finding out) invariably make matters worse and chaos ensues. Basil’s right-hand man is hapless Spanish waiter Manuel, played by Andrew Sachs. Well meaning but baffled and disorganised with a limited grasp of English, Manual does his best to help his nightmare of a boss but disaster turns to farce and things always end badly. A big part of Manuel’s charm is his unwavering enthusiasm for the job, even when it involves being bashed around the head with a frying pan by Basil. No wonder he’s confused! Manuel is a hugely loveable character, always on the receiving end of Basil’s acid tongue and violent temper. Even younger guests and children who are not familiar with the character will enjoy his antics. You can hire Manuel to table-hop at dinner events, where he will cause much amusement scuttling around in his waiter’s suit and getting everything wrong. He can work the room at corporate and private events, exhibitions and conferences, product launches and openings to meet and greet, mingle and entertain with his exaggerated Spanish accent and slapstick clumsiness. For a funny act to present prizes and make announcements, a Manuel lookalike will break the ice and have the audience in stitches. He will create a happy atmosphere where guests can laugh, relax and even take selfies with him. For a fun-filled event with an international twist, hire one of our adorable Manuel Lookalikes and maybe take a look at these other comedy waiters available to create mischief during an event. For entertainment that’s simply fabulous darling, it’s got to be Patsy. We all fell in love with Joanna Lumley’s portrayal of the blunt-speaking, champagne-swilling, chain-smoking, dishevelled and utterly outrageous Patsy Stone in the popular nineties British Sitcom, Absolutely Fabulous. Let Patsy break the ice at your birthday party, hen do, drinks reception, product launch, store opening or charity fundraiser - if you dare! Just brace yourselves for that acid tongue and some shameless flirting. Of course, your Patsy lookalike will know how to entertain the crowd without really offending anyone. She will pick her subjects carefully, striking just the right balance between naughty and nice, so that guests feel totally relaxed and everyone can enjoy the party. Our glamorous, absolutely fabulaous Patsy Lookalikes can meet, greet, mix and mingle, delighting friends, family, colleagues and clients with a perfect all-round impression of the lady herself, complete with beehive hairdo, Chanel jacket, colourful repartee and hilarious banter, transforming your event into an occasion filled with wonderful and crazy memories. Since TV sitcom The Office first hit our screens in 2001, it’s had several series aired in the UK and spin-offs galore. The characters are now deeply embedded in our national psyche and a bad boss has never been seen in quite the same light again. The show was adapted in the U.S. in 2009 and is broadcast all over the world. The comedy, based in an office in Slough, centres on the socially awkward and self-deluded office manager David Brent. Brent’s cringe-worthy attempts at making colleagues laugh, along with his cheesy dance moves and desperate desire to be recognised as a Renaissance man are so well done, it’s almost painful to watch. In trying to show how forward-thinking he is, he ends up being inadvertently offensive towards ethnic minorities, women and disabled people and if that wasn’t bad enough, he’s the lead singer of the world’s worst rock band, Foregone Conclusion. The song lyrics are pure David Brent (well meaning but disastrous) and his band mates do their best to avoid his company when not on stage. Ricky Gervais is now a huge star in his own right, writing and performing successful comedies and sell-out stand up shows, and starring in Hollywood movies. Needless to say, David Brent / Ricky Gervais lookalikes are popular to hire for corporate events, office parties, conferences, exhibitions, gala dinners, presentations and award ceremonies. So, take a chance on some perfectly-pitched office banter and embarrassing social gaffes with our hilarious Ricky Gervais Lookalikes. The terrible jokes will be flowing as fast as the wine and your guests will love it. The job of Head of State is a busy one. A life devoted to the service of one’s country involves endless engagements, and the life of a Queen lookalike is much the same! Her Royal Highness is in constant demand at civil functions, private parties, promotional events, store openings and visits to schools and care homes, not to mention public appearances at restaurants, shopping centres, hotels and museums. The life of the longest-reigning female monarch in history is simply never dull. She attends royal celebrations, Christmas parties, retirement parties, summer balls and historical reenactment events. Who better to greet foreign visitors to the UK than the lady herself. Perhaps with a ride on one of London’s open top buses? A lookalike of our beloved Sovereign is popular at air shows, staff conferences, charity fundraisers and holiday parks and often takes part in comedy sketches, film and TV work and even music videos. 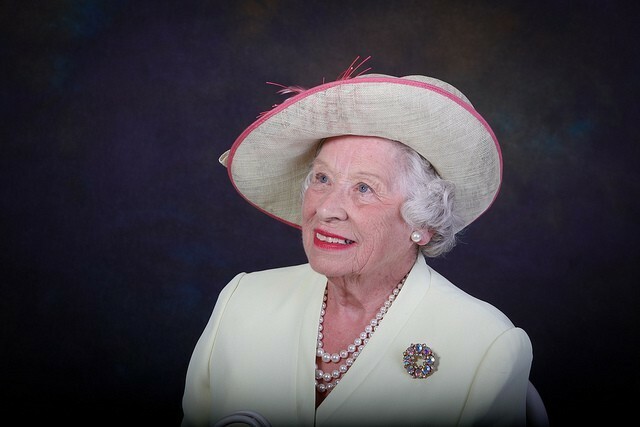 You can rely on Her Majesty to provide first class meet and greet entertainment, looking and sounding just like Queen Elizabeth II, speaking perfect Queen’s English and wearing her signature outfits. Guests will be thrilled to find themselves in such distinguished company and may feel the urge to curtsy. So, for a splash of royal glamour, complete with handbag and diamond-encrusted tiara, hire one of our The Queen Lookalikes and have yourself a ball. What do The Queen, Del Boy, Patsy and Alan (Lord) Sugar lookalikes have in common? -They are all closely associated with London and are all very popular lookalikes hired for events in London. Still not found what you’re looking for? Check out our other Lookalikes including more Londoners Alan Sugar and HRH Prince Charles. Many couples will automatically consider booking live music or a professional DJ for the evening entertainment but don't forget that the day can be long and having additional entertainment such as will be welcomed by your guests. Magicians and caricaturists have become very popular but celebrity lookalikes can be a real winner. Lookalikes and Celebrity Impersonators are very popular at weddings, where they are great at breaking the ice and creating a buzz. They can mix and mingle with guests, providing lots of chatter and photo opportunities, keeping everyone entertained while the bride and groom have their photo shoot. They can also make speeches and announcements, helping the day to run smoothly. Imagine the surprise on your guests’ faces as a Gordon Ramsay lookalike appears to serve the head table at your wedding breakfast, or brings out desserts to a round of applause. Or he could serve champagne and canapés while mixing with friends and family for photos at your drinks reception. A Del Boy lookalike will add a large dose of humour to your big day. He will be great fun for guests to have a drink with at your reception as he always has lots of good stories to tell. If you’re looking to add a touch of glamour to your drinks party, who better than a James Bond lookalike to chat with over cocktails and discuss the finer points of being a secret agent. He’ll know just how to charm the ladies and the guys will want to know about his most daring stunts and his latest car. Manuel would be the perfect surprise comedy waiter at your wedding breakfast, putting guests at ease with his sweet nature and inability to remember anyone’s name. For added intrigue, he could hide in the car park and pop up as guests arrive, having just escaped from Fawlty Towers. A Patsy lookalike will definitely add some va-va-voom to your evening party, where she is sure to behave badly and flirt outrageously with all the men. Just don’t let her drink too much champagne. Ricky Gervais would bring much amusement to proceedings and have everybody doing his cheesy dance in no time. He can be relied upon to deliver the perfect David Brent-style speech and guests will want selfie after selfie with this famous office manager. If you hire a magic mirror photo mirror screen for your wedding you and your guests can ask the "celebrity" to join you and take full length selfies as splendid mementos of the day. HOW MUCH DOES A Celebrity Impersonator COST TO HIRE? Lookalike acts are highly skilled performers who have spent years studying their idol in order to recreate their appearance, mannerisms, voice and persona. They spend a lot of money on costumes, wigs and research material and put plenty of time and work into developing a show that is not only convincing but highly entertaining and suitable for all of the different events they attend. If the chosen celebrity is current, they also need to be up with all of their latest career developments, making any necessary image and character changes to keep their act bang up to date. As with booking any act, we advise that it’s worth paying for a reliable performer who will turn up on time and deliver a great evening’s entertainment. See our Essential Tips below for information on booking terms and conditions. Our entertainers’ directory is the perfect tool to help you find the right Lookalike for your budget. You can easily search for the best acts in your area and message them directly. Some acts even include a rough price guide in their profile. Since prices do vary widely, depending on the act and the event, we highly recommend getting in touch with your chosen performer for a completely free, no-obligation quote. If you hire a Lookalike performer for mix and mingle entertainment, they can tailor their performance length to suit your event, filling in gaps by entertaining at pre-dinner drinks or during photo shoots or music intervals. They can spend time meeting and greeting guests as they arrive at a wedding or conference and then appear again later on. Mix and mingle entertainment might be two or three sets of 30 minutes, with breaks in between. Speak to your chosen act and they will be happy to accommodate and advise on what will work best with your event schedule. If your Lookalike is making speeches and announcements or handing out awards, their performance time will need to fit in with everything else that’s going on, so discuss your requirements in advance. Acts may stay as long as two or three hours, and even longer for events such as trade shows and exhibitions, where large numbers of guests are coming and going all the time. Bear in mind that longer performance times will cost more than a standard show. If your event is smaller, with fewer guests, it often makes sense to keep a Lookalike appearance shorter, as the impact can wear off after a while. Most venue types are suitable for Lookalike performers. Mix and mingle entertainers don’t require a stage area as they simply move around the room, entertaining small groups of guests at a time. If they are acting as MC or host, making announcements or speeches or handing out prizes, they will need a raised stage area, PA system, microphone and basic stage lighting. Acts may be able to provide this but you should check this at the time of booking. Lookalike acts provide fantastic photo opportunities, so you may want to consider having a designated area for photos, with a plain backdrop or your company logo displayed on the wall. All performers need the basics of a safe, clean and dry area in which to stand, as well as room to move around. If your venue is outside, make sure that some kind of cover is provided and check with your act that they are happy to perform outdoors. Lookalike acts will require a private room backstage, in which to get ready, warm up and relax in between sets, ideally with a well-lit mirror, a wash basin and somewhere to hang clothes. They will need to dress, apply make-up, do their hair and transform into character without being seen by guests. If there is no designated dressing room, venues such as hotels may have a spare bedroom or meeting room they can put aside. Exhibition halls or restaurants may have a lockable room or back office they can make available. This should be organised in advance so that your performer can go straight to their room on arrival. Popular entertainers get booked up months in advance. Weekends are often busy times and Christmas Eve and New Year’s Eve get booked up well in advance. So, get your booking in nice and early! If your performer will be standing on stage, making speeches or announcements, or singing, they will need a microphone, PA system and basic lighting, so that the audience can see and hear them. Depending on the act, they may or may not be able to provide this themselves, so check this when you book. Some Lookalike acts use props. For example, when Prince Charles lookalike Charles Haslett is hired to make a speech, he requires a lectern for his notes so that he can use hand gestures which are an important part of his impersonation. If you’re not sure whether your act needs a microphone, or any extra equipment, just ask when you book. Your Lookalike act will be working hard to remain in character and entertain your guests for long periods. They may also have travelled some distance to get to your event and have a long night ahead. Bookers should provide soft drinks and tea or coffee as well as a meal, free of charge. This will be much appreciated! Entertainers usually require a deposit of around 15-20% of the overall cost, in order to secure the booking. This protects the performer against lost income in the event of cancellation, and also gives you reassurance that you have a confirmed booking. These will usually be included in the quote you are given, as the performer will need to calculate their travel costs, especially if they are travelling some distance. Thankfully this rarely happens, but in the unlikely event that, due to illness or other unforeseen circumstances, a Lookalike is unable to perform for you as agreed, they will usually have a contingency plan. This means they can send a similar performer in their place, at no extra cost to you. For confirmation of this, you can check the Terms and Conditions in your contract. If you are in the unlucky position of having to cancel your event, there will be a cancellation fee. The amount usually increases the closer it gets to the event date. For example, cancelling 90 days before the event might incur 75% of the overall fee, while cancelling less than 30 days prior might mean paying the entire sum. These conditions should be laid out in the contract you receive when booking, so check before signing. If you have any reason to think your event may not go ahead as planned, it would be better to let your act know as soon as possible. Ideally, the venue and the act you hire will have Public Liability Insurance. This covers you and them in the event of a claim, should any members of the public or guests be injured at your event, or any damage be caused to property. If your act is a member of Equity, a trade union that represent live performers in the entertainment industry in the UK (the American Guild of Variety Artists or the Actors' Equity Association in the U.S. and various unions and societies in Europe), this gives you extra reassurance that they are professional and trustworthy, fully insured and abiding by industry standard contracts. When it comes to practicalities, it’s always better to discuss them in advance, to avoid any unexpected hitches on the day. Whatever questions you have, however silly they might seem to you, you can bet they’ve heard them before, and worse! So, don’t be shy - good communication is the key to planning a great event. Booking a Lookalike is easy with Entertainers Worldwide. You can search through different acts, view their profiles and read their all-important reviews. Some of our listed acts also include video samples of their performances. Once you’ve found the act you want to book, simply use the contact form on their profile page. We are not an agency, so you can deal directly with your chosen group, with no extra booking fees or commission to pay. How can I find and book a LOOKALIKE for an event near me? Using Entertainers Worldwide, you can search and browse hundreds of Lookalikes, Tribute Acts, Tribute Bands, Stand-up Comedians, Comedy Waiters and much more! Search now to find a Lookalike for your event.